Every live project by any artist has at least one thing in common—there is nowhere to hide. No embellishment. No auto-tuning. No second chance to create a moment. 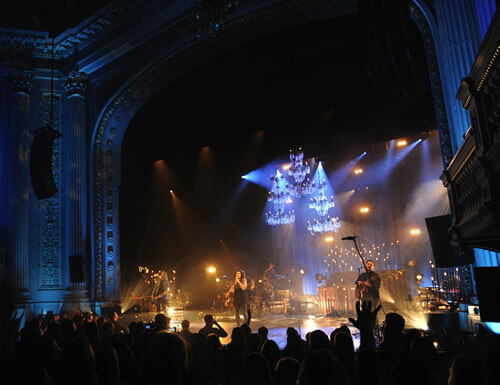 On Kari Jobe’s latest live release, there are countless moments that can only be described as majestic. The new project, aptly called Majestic, was about two years in the making, during which time Kari continued to lead worship in her home church, Gateway, wrote and co-wrote and wrote some more and, along the way, found her way back to the foundation of her faith, song and ministry. Like many artists, Kari is well-acquainted with pressure. Since taking the industry by storm with her renditions of mega-songs “Revelation Song,” “Healer” and many more, her persona has practically become synonymous with modern worship, a role Kari has embraced with dignity. Her previous album was a pop-oriented record, showcasing a different side of the songstress. The album achieved considerable radio success, led to extensive touring and posited Kari firmly in the highest echelon of female artists in Christian music. Personally, though, she’s still a young woman dealing with the same insecurities and issues so many others experience. “The enemy hates us. We’re walking through life and have experiences that cause pain,” she says. “Nobody’s exempt from pain. Everyone has a story. We have to know who we are in Christ. If I remind God of who He is, He reminds me of who I am. I’m seeing Him now in a whole different way. That notion underscores the direction of this record. “A lot of times people come into church just after a child or someone has thrown a fit in the car,” she says. “If they see a worship leader on the floor, there’s a disconnect. You don’t even know how to enter in. You’re still at home with the spilled milk. Armed with a direction, Kari went about writing—alone and with others. That collaboration translated powerfully from the writing room into the live setting, as the worshippers definitely responded. The voices, along with a second drummer and more strings, contribute to the sonic masterpiece that isn’t a record out for sales, radio play or notoriety. This is a worship experience from beginning to end. The worship leader is front and center, exposed, vulnerable and utterly transparent. Nothing to hide, nothing to embellish… Without question, Kari’s roots are showing, and her intentions are clear.